Commercial, industrial and residential buildings often employ carbon filters either at the point of entry (POE) or the point of use (POU) to treat water before it reaches end users. While Calgon Carbon does not manufacture POE or POU residential water filters, we supply carbon to many of the major manufacturers. If your company is working on a new POU/POE filter we can work with you to provide an optimized carbon for your device. If you are a residential user of activated carbon for home water filters and have questions, please see our Residential FAQ (Frequently Asked Questions). Calgon Carbon’s manufacturing processes for the activated carbons used for POU/POE purification have been engineered to provide customers with consistent, high quality products. Calgon Carbon offers a range of coconut based activated carbon products for POU/POE purification and is one of the only producers of coal-based carbons for POU/POE drinking water filters. While coconut based carbons are often used for taste and odor removal, our reagglomerated coal based products have proven to be more effective at chlorine and chloramines removal—as well as perform taste and odor removal at greater speeds than coconut-based carbons. Our POU/POE carbons have been certified to meet the rigorous and comprehensive NSF/ANSI 42 and California Proposition 65 Standards – demonstrating the quality, reliability and performance of our products. Calgon Carbon is proud to offer a variety of high quality, cost effective solutions for POU and POE filter applications. Last line of defense for removing unwanted tastes, odors and contaminants from water. 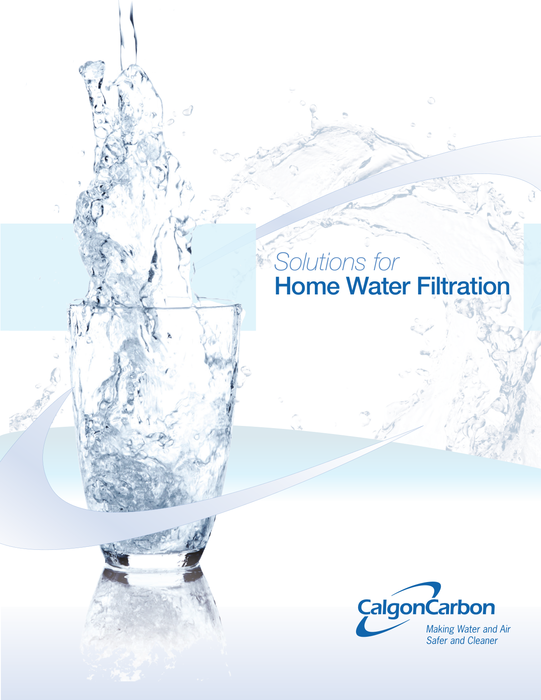 High-quality solutions for filtering unpleasant odors, tastes and contaminants from a home’s entire water supply.